If you’re a fan of high-performance cars and the Porsche in particular, then you already know that 2013 is the 50th anniversary of the iconic 911 model. In order to remain a leader in innovation, Porsche has produced numerous prototypes and race-specific models over those 50 years for research and development. 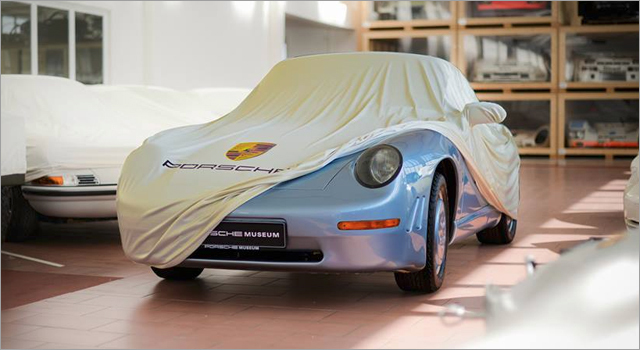 The Porsche Museum in Stuttgart-Zuffenhausen features a collection of Porsche’s from throughout the car-maker’s history, but the six featured in the #911secrets campaign (according to the video) are being revealed to the public for the first time. Viewers will be asked to answer three questions based on facts covered in the video clip that feature each car. It appears there is no actual prizes to win, just the satisfaction that you are a Porsche expert, or you were sneaky enough to login to the competition twice. The cars include; the 911 Aerodynamic Concept, the 911 SC E. Africa Rally Car, the 911 Mid-Engine, the 911 V8, the first 911 Turbo, and the 911 San Remo Rally Car. If you don’t do very well in the trivia competition (I only managed 72.767 seconds) you can always visit the Porsche China site and make beautiful music with Porsche 911 engines.